Our first official “Wish You Made…” winner is someone very special to Real Pie Company – Kira’s mom, Pamela Cameron. 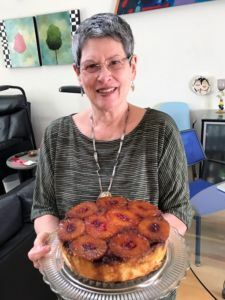 Pam’s dessert wish was for an old-fangled pineapple upside-down cake, whose homey flavors take her right back to the bustling family gatherings she loved as a child. Pam remembers waiting in wiggly anticipation for the cake to slide, topsy-turvy, out of the pan after it was baked; and relishing the sweet, crusty bits of cake and caramel stuck to the pan that she got to scoop out with her finger. 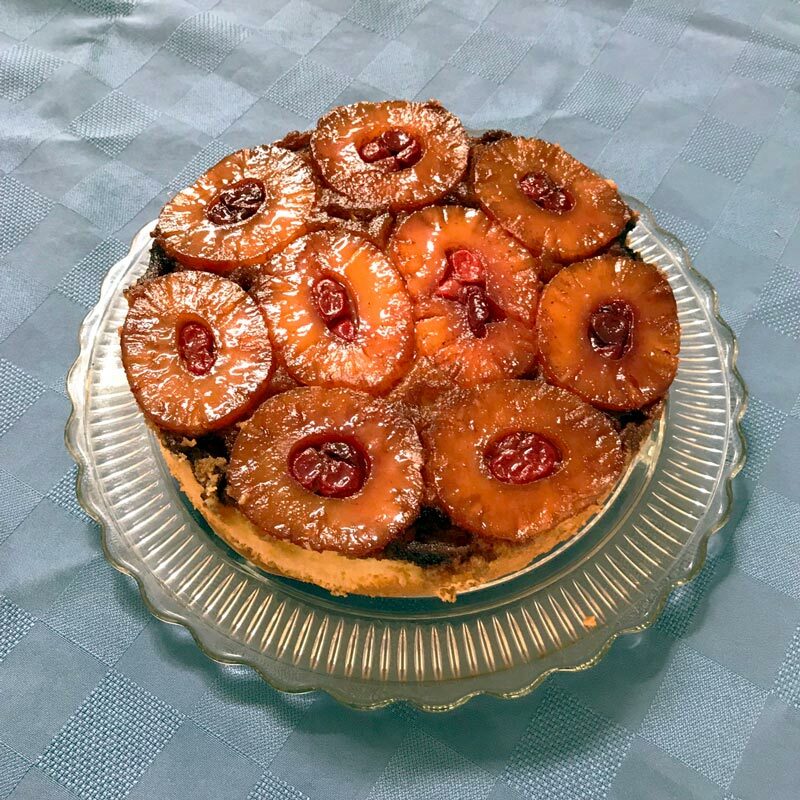 We’ve updated the recipe slightly, replacing the more common maraschino cherries with Bing cherries, but the cake has otherwise retained its rustic, comforting appeal. This month, come try a warmed-up slice of Pam’s favorite treat, with a scoop of vanilla or caramel ice cream. Click the button below and enter your email to receive the Real Pie Company monthly e-newsletter.